Edraw offers you a number of ready-made fault tree templates which you can use in your drawing and free. Edraw is used as a fault tree software coming with ready-made fault tree templates that make it easy for anyone to create beautiful fault tree. 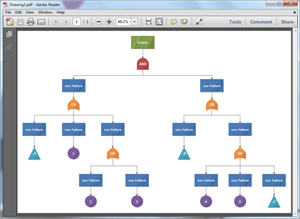 The fault tree templates are easy to use and free. Edraw can also convert all these templates into PowerPoint, PDF or Word templates. Creating a fault tree in Edraw is easy. It only takes a few seconds to choose a basic template, insert text and images, and add the finishing touches. If you want to use a ready made template, go to fault tree templates page and choose the Fault Tree that best suits you. 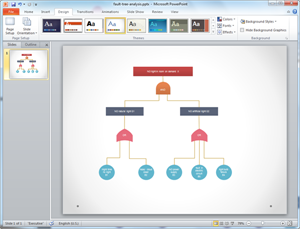 When you finish creating your fault tree in Edraw, one click on the Export button will transfer your drawing into MS PowerPoint presentation. You will end up with a high-quality fault tree with the least effort. In order to customize the template as the way you want, you need to download Edraw and edit it. All templates in the software gallery windows can freely change color, theme and effect. 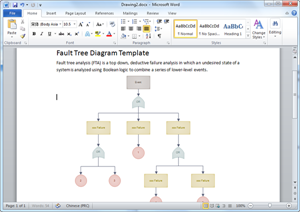 Create fault tree diagram for Word has never been easier. All are simple, only clicking on the Export PDF button will convert your fault tree template into PDF format. You can view the PDF Fault Tree Template to view the quality. 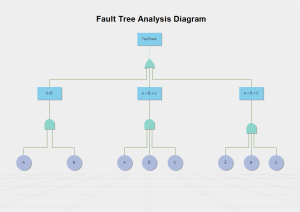 The fault tree analysis (FTA) is one of the most widely used methods in system reliability, maintainability and safety analysis. It uses deductive procedure to identify the possible outcomes given the occurrence of an initiating event (or given event). 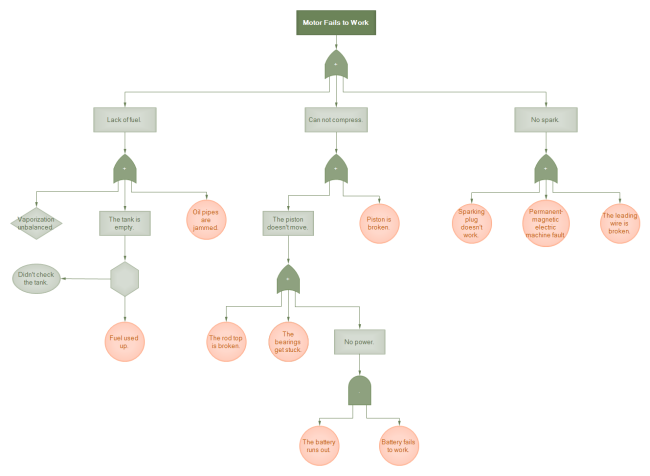 The deductive analysis begins with a general conclusion, then attempts to determine the specific causes of the conclusion by constructing a logic diagram called a fault tree. After creating the diagram, failure and repair data is assigned to the system components. The analysis is then performed, to calculate reliability and availability parameters for the system and identify critical components. 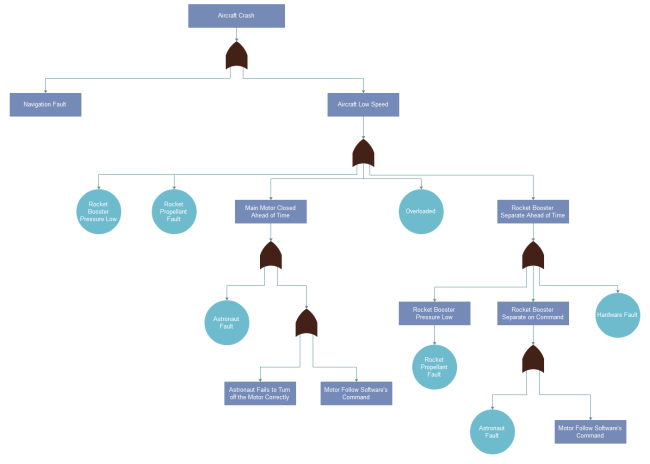 Easily learn How to Create a Fault Tree through detailed guide and vivid illustrations. 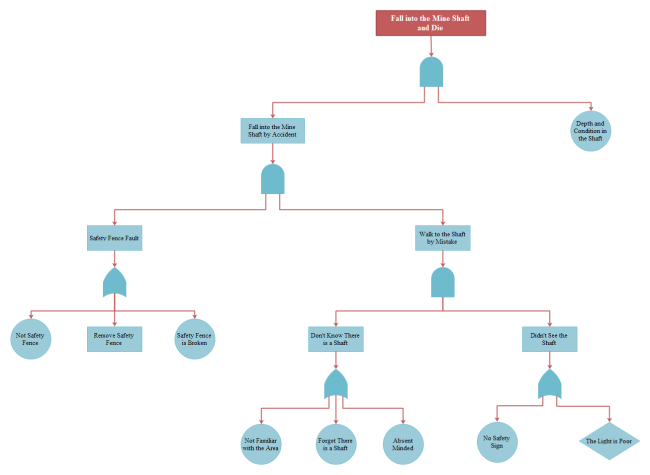 More fault tree templates are provided here for free download and use. Click on the images to download the PDF or editable version. Discover why Edraw is an excellent program to create fault tree. Try Edraw FREE.